When you’re planning your vacation, it can be difficult to narrow down your choices. Do you want an active vacation? Some time to relax on the beach? Is a vibrant nightlife something that you’re looking for? Or, are you more interested in the history and culture of the destination that you’re visiting? Central America and the Caribbean region is a fantastic vacation option. Relatively easy to get to, and a tremendously diverse part of the world. One destination that may not immediately spring to mind when you’re considering your options in Central America is Panama. Panama is probably best known for its iconic hats and the shipping canal that provides an essential connection between the Atlantic and Pacific Oceans. However, we’re here to make the case that Panama is a Central American destination that should be added to your travel wish-list. If you’re looking at a map, Panama is the final link in the chain of Central American countries that connects the continent of North America to South America. It’s bordered by Costa Rica to the north-west, and Colombia to the south-east. The country is home to about 4 million people, with over half of the population living in the capital - Panama City. Much of Panama’s revenue comes from the shipping tolls that it imposes on the vessels using its canal. Other major industries include financial services, and tourism. When the Spanish invaded Central America in the 16th century, they displaced the Cuevas and the Coclé tribes. This region was ruled by the Spanish for almost 300 years. Even at this time, Panama was hugely important from a trade and transport perspective. For the Spanish Empire, Panama was crucial for the shipping of the silver mined in Peru to Europe. Silver cargoes were landed at Panama on its Pacific coast, and then taken overland to the Caribbean side of the territory for shipment across the Atlantic to Europe. Because of the wealth being transported through this region, this was a period when pirates were very active and powerful in this region. Modern Panama began to emerge in the 1800s, as the Spanish American wars of independence began to shake off the last holds of the Spanish Empire. Initially joined with Colombia, Panama seceded from Colombia in 1903. Panama’s recent history has been shaped by its canal – connecting the Atlantic Ocean with the Pacific Ocean. Construction of the Panama Canal was begun by France in 1881, but the project was taken over by the United States in 1904. It opened in 1914. The United States retained control of the canal until 1977 when control was transferred to Panama. Construction of the canal was one of the largest and most difficult engineering projects ever undertaken. This will most likely be the starting point for your expedition to Panama. Casco Antiguo – the old quarter of the city – is where you’ll find most interest. The old quarter is where you’ll find the city’s cathedral, Independence Plaza, French Plaza, the artisan market, and the Panama Canal Museum. Panama has an extraordinary amount of coastline - its northern coastline looks out onto the Caribbean Sea, leading to the Atlantic ocean, while its southern coastline faces the Pacific ocean. Much of Panama is covered by tropical jungles - about 40 per cent of its surface area. The ecology of Panama is fascinating. In the jungles of Panama you’ll find tropical plants and animals that are unique to this part of the world. One of the highlights of a visit to the mountainous regions of Panama is Boquete Chiriqui. This is a mountain town set within a beautiful valley of flowers and coffee farms. 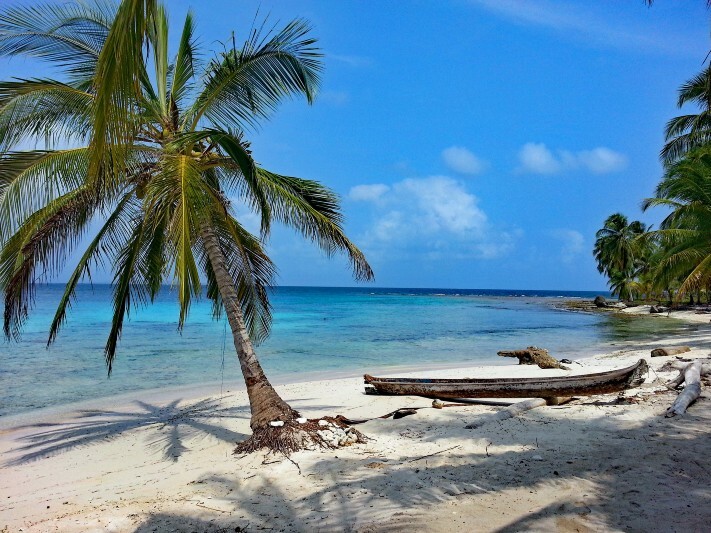 Panama is only a matter of degrees from the equator, so expect proper tropical conditions. In the lower-lying parts of the country, it’s generally hot and humid during the day, with the nights only marginally cooler. In the highlands of Panama, high altitudes bring some cool relief. Generally, the best time to visit is during the dry season. The dry season runs from late December through to the end of April. The dry season is generally favoured because it delivers clear days, it’s easier to get around, and the waters are clearer as there’s less run-off from rainfall. There’s a number of key festivals and celebrations in Panama during the dry season which could be good to plan your trip around, however because this is peak season you may find prices higher and accommodation harder to come by. In contrast, the rainy season - which lasts from May through to December – makes it difficult to explore the mountainous and rain-forest regions of Panama, because the tracks are boggy and there’s a lot of cloud. However, if you stick to the lower regions along the Pacific coast, you’ll still be able to enjoy plenty of clear sunny weather in between the occasional intense downpour of rain. The rainy season is the perfect time to visit Panama’s Azuero Peninsula. This is a surprisingly dry part of the country, so the rainy season brings out a lot of this region’s natural beauty. Rich in history and folklore, this is an ideal way to connect with what makes Panama unique. This is also an ideal destination for surfers and nature lovers. Highlights include the picturesque charms of Pedasí, snorkelling off Isla Iguana, meeting the turtles and macaws of Playa Combutal, or partying on the beach at Playa Venao. Most visitors fly to Panama. There’s direct flights from numerous points in both North America and South America, as well as some from Europe. Most visitors fly into Tocumen International Airport - the country’s main international airport – close to Panama City.